When you drive to the movie theater or take a train from the Metro Center, you might not realize that you are passing the headquarters for the #1 specialty tea in the USA right here in Fairfield - Bigelow Tea. And you might be even more surprised to know that the Fairfield location houses not only the corporate headquarters, but a plant that produces almost 1 million tea bags daily. 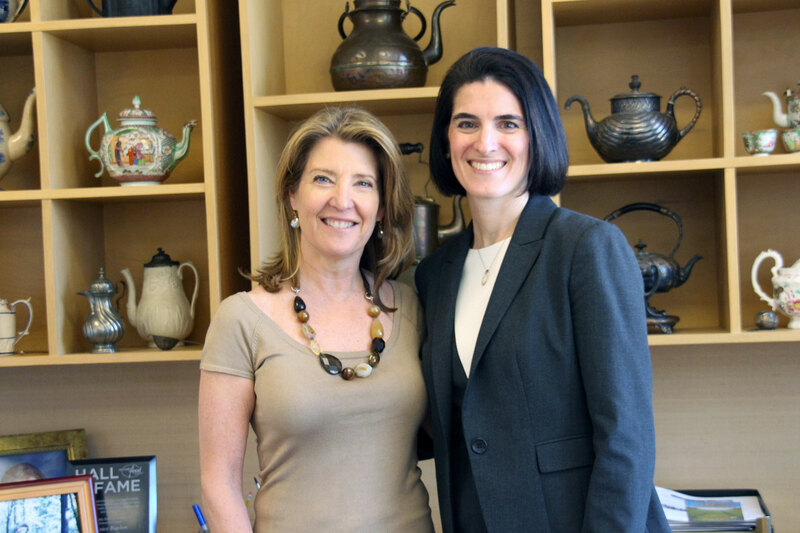 This Spring I had the tremendous pleasure of touring the Bigelow Tea Company facility in Fairfield with Cindi Bigelow, CEO and President, and members of her team. It was a great opportunity to learn about Bigelow’s operations and better understand how Connecticut can work with local businesses to foster economic growth. Businesses like Bigelow are the backbone of communities around our state. Employing 140 people in Connecticut and 350 nationwide, Bigelow is at its heart, “America’s classic, family-owned tea blender.” And let me tell you, it smelled wonderful in there! At the beginning of the tour, I met Brian and Lisa who work in a very scientific way on each tea blend. My tour guide, John McCraw, VP of the Tea Division, told me that Cindi’s parents, David and Eunice, remain intimately involved in new product development. Clearly, they have great taste – literally! 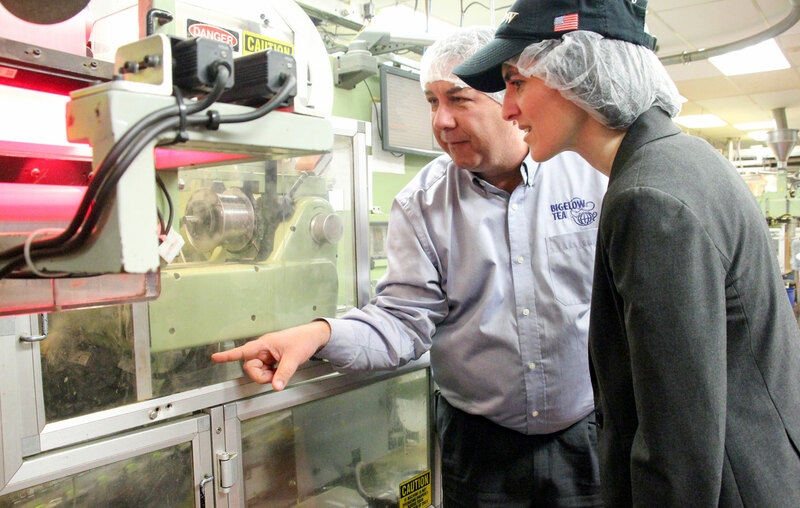 From there I donned my hair net and Bigelow cap to tour the production and packaging facilities. Throughout the tour, I was impressed not only with the facility itself, but with the people I met as well. The commitment, competence and passion of the Bigelow employees was conveyed at each step of the tour. Solar panels produce about 20% of Bigelow’s energy needs in Fairfield. All of the production facilities have been designated Zero Waste Facilities. The company recycles or composts over 95% of its waste, virtually eliminating the need to use landfills. Bigelow supports many community programs, including the Read Aloud programs at local schools, Junior Achievement, and a Community Garden. They also hold the annual Bigelow Community Challenge, a 5k road race and fundraiser for local charities. It is my honor to represent Bigelow Tea as a state representative, and it was a real treat to see first-hand the work they are doing here in Fairfield. I’m proud that Fairfield is home to this upstanding company and employer, and I’m committed to working with local companies to make Connecticut a place where businesses like Bigelow Tea can thrive.